Related for Pictures at an Exhibition. 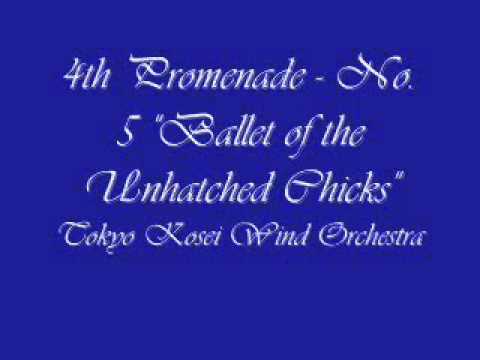 Interlude, Promenade theme - 5.Ballet of the Unhatched Chicks. Pictures at an Exhibition. 6.Samuel Goldenberg and Schmuÿle. Curtain Up! (A Theater Overture for Winds). Tokyo Kosei Wind Orchestra. Yellow Submarine. Tokyo Kosei Wind Orchestra.